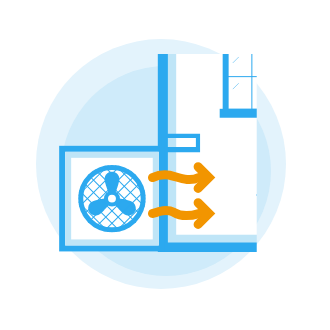 Our unique service enables you to get free heat pump quotes from reputable UK installers, compare them and choose the best. Boiler Guide enables you to save money by comparing heat pump quotes from multiple different installation companies. By completing just one simple online enquiry form you will quickly receive up to 3 quotes from professional and accredited installers in your area. Every installer has been vetted to ensure they meet strict quality standards and are MCS accredited. * If you are replacing an old and less efficient boiler, you could potentially be saving up to £900 on your energy bills each year by replacing your current heating system with an ASHP. If you have a new gas or oil boiler with an ErP A rating installed, then you’re better off sticking with what you’ve got. Find out more about the potential costs and benefits here.